The Hillsboro Indians traveled to Mt. Orab on Saturday an picked up a non-conference road win over the Western Brown Broncos 53-51. Hillsboro used strong shooting performances by Ryan Scott and Ethan Watson to propel the team to the win. The Indians were able to put the Broncos on their heels in the first quarter as they poured in 18 points that included two triples by Watson and one by Scott. Hillsboro was able to limit Western Brown to only 10 points in the first and took an eight point lead into the second quarter. Scott led the Indians in the second quarter with nine points, all on three point baskets, while Watson added another three pointer to help Hillsboro score 16 points in the second and extend their lead to 10 points at halftime with the scoreboard reading 34-24. The Indians were outscored 16-13 in the third quarter but the Broncos were unable to keep Watson in check as he netted two more triples in the quarter and Mason Swayne added a third as Hillsboro tried to maintain its lead heading into the fourth quarter. Western Brown limited the Indians to only six points in the final frame and outscored Hillsboro 11-6 in the fourth. But, a fifth three pointer by Scott and three out of four at the line for Watson was enough to keep the Indians in front for the 53-51 win. 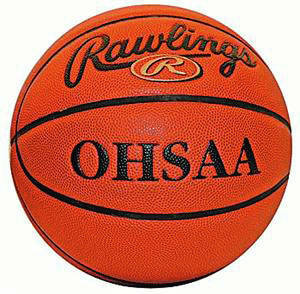 The Indians will be back in action Tuesday when they host the Adena Warriors in a non-conference showdown for Hillsboro’s final home game of the season.